With over 40 years of award winning experience, Country Club Comedy brings a unique, hysterical show to your event based on your needs. With Country Club Comedy's exclusive show 'The Quickest Thinkers in Comedy' you don't just watch the show your part of it. Never insulting, never mean. Whether it is booked for family style or edgy adult the people they bring up on stage become instant celebrities. These guys have been referred to over and over again as the “Quickest Thinkers In Comedy” . Their fast-paced off-the-cuff show can be based entirely on the vibe of the audience and venue or the theme of a corporate event. Because audience interaction is encouraged with the performers there is no predicting the punch line, and no two shows are the same! 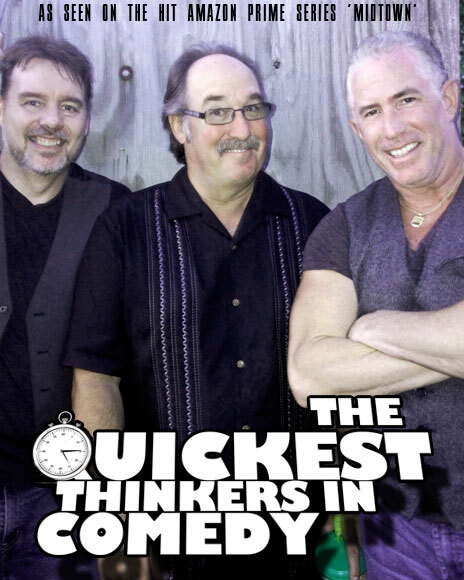 The “Quickest Thinkers In Comedy” show is an hysterical high-energy evening filled with call backs and catch phrases that those in attendance will be using for months or years to come. Al and Scott have spent years honing their craft and the result is a one of a kind experience that has audiences cheering. Their material is not only flexible to be age appropriate to the room, from family friendly to a 'late night edge', but can be customized for corporate or regional shows to include event specific material! By getting the audience involved with all aspects of the show they make a theater filled with strangers feel like a living room with close friends! Everything from audience members shouting out suggestions, providing sound effects, or even playing a role right along on stage! There's a reason theaters have booked Al Isaacs & Scott Baker's shows year after year, and resorts feature them weekly for months at a time. It's the same reason that there have been fans who have come to see them eight or nine times. 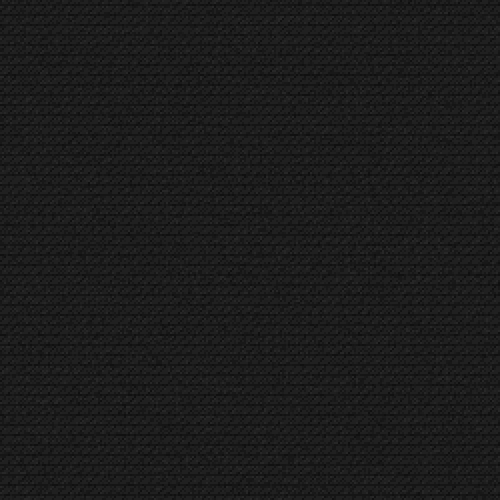 It is literally “Comedy at the speed of thought”! And when you throw in the magic and comedy of legendary Long Island entertainer Vinnie Mark - you get an evening of comedy that nobody will ever forget!!! "I've been in the biz full time since 1980 and I can not laugh any harder! Al and Scott are masters at improvisation!" "Isaacs & Baker are KILLIN' IT at The Borgata!" "All of those persons from my unit that I spoke to could not believe the level of talent that you guys demonstrated. Thank you guys for taking time out your busy schedule to put on such a magnificent performance." "We judge acts by doors. A '10 Door' act would mean we had to open 10 doors during their show so people could leave. A '1 door' or '2 door' act would be signed immediately. You guys are a '0 door' act!" "The funniest comedy team on the East Coast"
"Isaacs & Baker held us totally captive with their quick wit, their ability to relate to and play off of our industry (that of construction), and their expertise in getting our audience to actually participate in some of the funniest skits that people are still talking about to this day. They went above and beyond the call of duty ." Scott has been a constant on the comedy scene for the better part of 20 years as a world class headliner. As part of the award winning comedy team of Isaacs and Baker, Scott has been fortunate enough to grace the stages of some of the best theaters, resorts, and comedy clubs in the country. Places such as Tropicana Atlantic City, The Borgata, Mohegan Sun, Foxwoods and Caesars resorts (among many others) have welcomed him back time and time again. 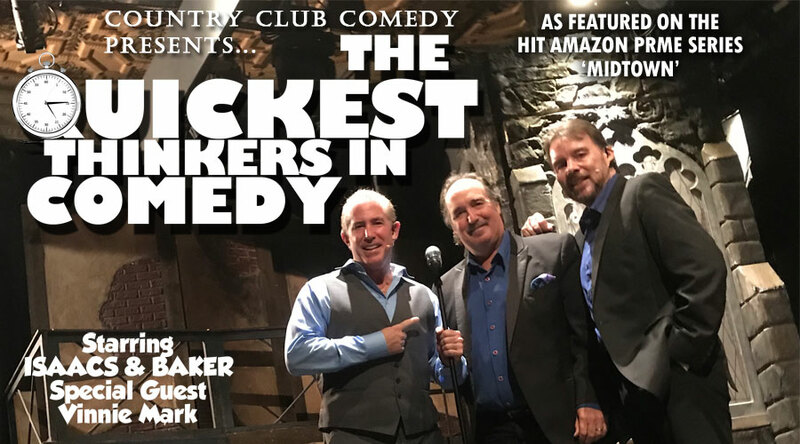 Along with his partner Al Isaacs, Scott and Al have set the record for the most appearances by comedians at Woodloch Pines Resort, which has been voted one of the top three family resorts in the country by Trip Advisor. As a former NYPD police officer and boxer, Scott takes great pride in giving back to charities, especially first responders and veterans. Scott has paid out of his own pocket to rent a theater putting on a show with all the proceeds going to the Fealgood foundation that helps sick first responders. Throughout the course of his career, Scott has helped raise over one million dollars for various charities with his performances. Scott’s theory of “never making fun of, but having fun with” has made him and his partners fan favorites and kept them in demand for many years. Country Club Comedy Shows was born out of our love for using the audience in the show, for the unknown on stage and giving back to charities. Along with writing several books, teaching improv to schools, camps, and corporations for better communication, Scott also has a hit TV sitcom “ Midtown “ on Amazon. Comedian Vinnie Mark’s best trick is to change traditional magic into non-stop laughs before your very eyes. Vinnie Mark delivers joke after joke, gag after gag, and leaves audiences on their feet with a real, live straightjacket escape. Las Vegas slick and Sunday school proper, alchemist Mark transforms audience participation, one-liners and a few surprises into pure platinum. Mark’s television appearances include The Rosie ‘O Donnell Show (NBC), Late Night with David Letterman (NBC), Stand-up Spotlight (VH1) and Fox T.V.’s Comic Strip Live (Fox). He can also be seen in the film Grown Ups (Adam Sandler). 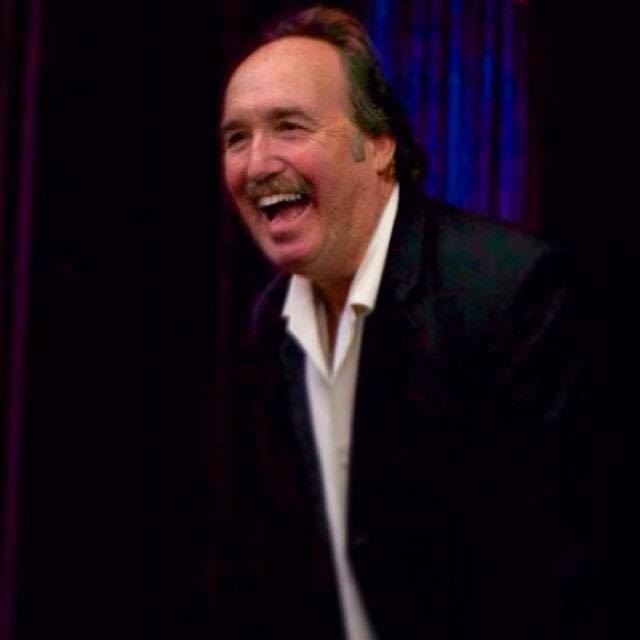 Vinnie Mark has performed at many of the nation’s best venues such as Las Vegas’ legendary MGM and Caesars Hotels, Atlantic City’s prestigious Caesars and Borgata Hotels and the Pocono’s Caesars Hotel. In addition, he regularly entertains passengers on the Royal Caribbean and Norwegian cruise lines. Mark has “opened” for comedians Rodney Dangerfield, Gilbert Gottfried and David Spade as well as the musical group Crosby, Stills & Nash. He has also toured with country singer Randy Travis. In addition, the USO enlisted Vinnie to entertain troops in Iraq, Saudi Arabia and Qatar. He is an original member of the “Laughter Company,” an improvisation group that included Rosie ‘O Donnell and Bob Nelson.